Jeanne Robertson will be performing a comedy show in Branson for a limited engagement at Andy Williams Moon River Theater on October 27, 2018 at 8:00 pm. This former beauty contest winner who turned professional speaker and humorist will make you laugh non-stop as she performs to the Branson stage. Robertson wants to be identified as a humorist rather than a comedian and knows how to entertain, inspire, and amuse every time she performs on stage. With her Southern charm and captivating speaking abilities, you’re sure to keep laughing all throughout the entire show. Robertson can be heard daily on channels such as Sirius XM Radio’s Laugh USA and the Family Comedy Channel, and entertains Branson audiences with her presence and humor. Born in 1943 and was crowned Miss Carolina in 1963, Robertson was named ‘Miss Congeniality’ in the Miss America competition. She credits her reign as the catalyst for her career. After she was crowned as Miss Carolina, Robertson used the scholarship funds to fund her college education at Auburn University where she majored in physical education and played on its basketball team. Jeanne began her career through teaching in high school teaching students physical education and got some money and enjoy there for nine years. After she stopped teaching, she entered professional speaking full time. Slowly she was more flexible in speaking and she starts speaking and whole clients and speaker like her speaking and after she has been awarded as top honor of CSP and was introduced as CPAE speaker hall of fame. Robertson has received honors and awards from National Speakers Association/Speaker Hall of Fame in 1981, National Speakers Association Cavette Award in 1989 (first woman to receive the award), Toastmasters International Golden Gavel Award in 1998, and North Carolina Press Association North Carolinian of the Year in 2001. In 2008, she spoke at the White House for National Volunteer Week honouring the 1300 volunteers who donate time to work at the White House. In 2009, she made waves on social media when clips of her hilarious talks went viral on the internet. Be sure to check out on this Southern comedy show in Branson. 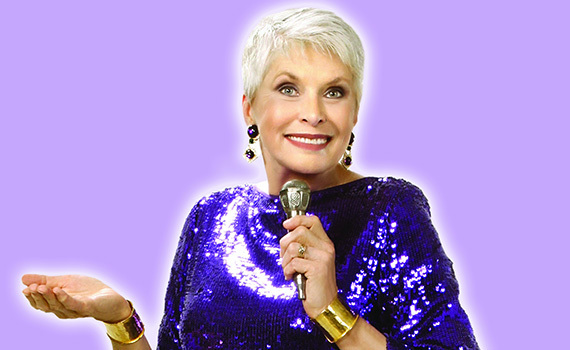 Even today at 75 years young, Jeanne Robertson continues to captivate audiences with her humorous observations about life around her. Standing at six-foot-two, this former beauty has a vivacious personality, heart, and sense of humor. She appears regularly on the Grand ‘Ole Opry. She has eight nationally released DVDs, three books, hundreds of hours on SiriusXM satellite radio and over 51 million YouTube views. The demand for her family-friendly and engaging grand of comedy has grown exponentially. Some of Robertson’s most popular anecdotes include “Don’t Go to Vegas Without A Baptist,” “Don’t Bungee Jump Naked,” and “Don’t Send a Man to the Grocery Store.” Her witty depiction of everyday situations never fails to make audiences of all ages rolling with laughter. Jeanne Robertson Southern comedy show is one of the best shows in Branson that is sure to make you laugh all throughout the entire show.